What Drugs Are Considered Opiates? The answer to the question does Buprenorphine block opiates is yes. Many people struggling with addiction and chronic pain use Buprenorphine. In 2002, the Food and Drug Administration put Buprenorphine on the market as a treatment for opiate addiction. They subsequently approved the name brands of Buprenorphine, Suboxone and Subutex. This allowed doctors to prescribe Buprenorphine HCL to those who are dependent on opiates or methadone. They considered these medications safer than the alternatives. There are several things that you need to know about Buprenorphine before taking it. These things are why people take it, how it blocks opiates, and what the side effects of Buprenorphine. Buprenorphine is often used to treat opiate addiction. The two primary reasons why people take Buprenorphine are chronic pain and a medication to treat mild to moderate opiate or methadone addiction. It works to prevent the body from going into withdrawal as well as preventing other opiates such as heroin from binding to the receptor sites and creating an appreciable euphoric stage. This sometimes stops addicts from craving or using the opiate. Another benefit of Buprenorphine is its ability to stop opiates from working. This means that no matter how much of an opiate that a person takes while on this drug, they will not become high. It helps to prevent the reward that many users get from taking an opiate. It does this by blocking opiates. It is important to remember that taking opiates while on Buprenorphine is a very bad idea. It will make the person who does it very very ill. When someone is addicted to a substance like opiates, the opiates bind to receptors in the brain. Unfortunately, strong opiates cause the receptors to be dulled to their effects. This makes the need for more and more of the opiate in order to get the same effect. If the effect is not achieved the person taking them grows uncomfortable as the craving increases. This is what withdrawal is. When those receptors are full of something else the receptors cannot bind to anything else. Like many opiate blockers, Buprenorphine binds to the opiate receptor sites in the brain. Although it is in competition for the receptor sites with other opiates, it has a stronger attraction to the receptors. The receptors are more likely to bind to Buprenorphine even if a stronger opiate is present. On top of blocking the receptors, Buprenorphine like methadone has a slight opioid effect. This effect is not enough to create a high like a regular opiate, but it is enough to stop cravings and prevent full on withdrawal. It continues to do this until the Buprenorphine is gone. The length of time it takes to dissipate depends on the dosage of Buprenorphine and what else is present in the system. It is important to have a doctor titrate the dose of Buprenorphine to prevent withdrawal symptoms from developing. Since it is an opiate derivative, it can be addictive just not in the same way as other opiates are. Buprenorphine creates a plateau effect. This means that no matter how much you take of it will not make a person feel any better than it does at the plateau. This creates a situation where the addict does not get any benefit from taking more of the drug than its optimum dose. The most noted side effects of Buprenorphine are similar to those of methadone and other opiates. Many of these side effects are rare and only develop when this drug is taken outside of the normal prescribing guidelines. These side effects fall into two categories, physical and psychological. These are the side effects of Buprenorphine alone. When it is combined with other medications, such as those in Suboxone and Subutex, there might be others depending on the prescription. The Substance Abuse Mental Health Services Administration confirms that Buprenorphine is safe to use and those who take it are not likely to be able to overdose on it. It is important to note that once on Buprenorphine, you should not use alcohol or other drugs. If you do, it can create a very dangerous reaction involving respiratory depression. 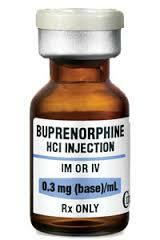 You should also be aware that Buprenorphine is relatively new and has not been studied in all situations. Although it is not listed as a side effect, specifically Buprenorphine has an effect that may become problematic. Opiates do not work while taking Buprenorphine. This means that if a patient is on Buprenorphine and needs opiate painkillers as the result of an accident or for surgery any of the stronger pain killers on the market do not help for the pain. If they give you opiates for these reasons it can make things a lot worse. It is very important to tell your doctor or the emergency personnel that you are taking Buprenorphine. Buprenorphine works to help opiate withdrawal because it blocks opiates from binding to the receptor sites. This action helps people safely detox from highly addictive painkillers and heroin. It is important to remember how Buprenorphine works and why it is effective as well as its side effects. Many problems with this drug can be prevented by knowing these simple facts. When asking does Buprenorphine block opiates the answer is yes, that is why it works to treat opiate addiction. Am I Abusing Prescription Opiates? – 3 Reasons to Get Opiate Abuse Treatment Now Rather Than Later - Even if you don't think you're addicted to painkillers, it's important to seek opiate abuse treatment if you're experiencing symptoms of dependence.